The biggest Android event of the year is nearly upon us. Here's what you can expect to see (and not see). After reading leaks, rumors, and tea leaves for months, Mobile World Congress is finally almost here. In just about a week, we’ll get a look at some of the most anticipated phones of the year; all of them vying for our attention with their dual cameras, skinny bezels, and big, beautiful screens. And even with Samsung making us wait a little longer for the Galaxy S8, there will still be loads of phones, tablets, watches, and gadgets on display in Barcelona. But if you can’t wait until the big event, we’ve got everything you need to know right here. LG swung and missed with its modular-minded G5, so it’s no surprise that it’s gone back to the drawing board with the G6. And from the looks of it, they got it right this time. While we’ll be losing one of the last phone lines that still had a removable battery, LG has opted to put a premium on design, with a glass-and-metal frame, tiny bezels, and a 5.7-inch Full Vision” Quad HD LCD screen. It’ll also be waterproof, come with a dual camera system, and feature a Quad digital-to-analog converter like the one found on the V20. The LG G6 will have skinny bezels and a giant screen. Rest assured Samsung fans, the company won’t be arriving at MWC empty-handed. For the first time in nearly a year and a half, Samsung will be launching a new Galaxy Tab S, taking another crack at making a high-end Android tablet. From the rumors and leaks, the 9.6-inch, 2048x1536 Tab S3 will retain the look of the S2, with a pill-shaped fingerprint scanner on the front flanked by a pair of navigation buttons. But the real upgrades will be under the hood. Powered by a Qualcomm Snapdragon 820 processor, it will be packed with 4GB of RAM (up from 3GB in the S2), and sport 12MP rear and 5MP front cameras. The Galaxy Tab S3 will reportedly come with an S Pen. Samsung will also be including an S Pen with the Galaxy Tab S3, a first for Samsung’s high-end tablet. While there reportedly won’t be a Note-style slot for the stylus on the device itself, bundling an S Pen likely signals a push to highlight the production and performance aspects of Android, positioning it as a work-oriented companion to the S8. The Mate 9 might have just landed in the States, but Huawei is ready to launch two new flagship phones at MWC. Based on a series of leaks, the two phones, the P10 and P10 Plus, they will feature a Kirin 960 processor, and a 3,100mAh battery. As the name suggests, the main differences between the two phones will be in the screens. The standard P10 will have a 5.2-inch 1080p display while the Plus model will have a 5.5-inch Quad HD curved AMOLED screen. The Huawei P10 will come in a variety of colors and include a home button. The two models will sports some visual differences as well. The standard P10 will include a fingerprint scanner built into the home button while the P10 Plus moves it to the back. Both phones will feature dual cameras and metal designs, and leaked images show the smaller model sporting blue, gold, and green enclosures. We’ll likely see more than a few Android Wear 2.0 watches at MWC this year, but one we know is coming is a followup to the Huawei Watch. We don’t know much of anything about it, but Huawei CEO Richard Yu shared a marketing image on Weibo to confirm that it will indeed be unveiled at MWC. This image shared by Huawei’s CEO doesn’t show much, but we do know a Huawei Watch is coming. The image doesn’t reveal anything about the watch per se, but the image suggests the watch will likely have more of a focus on fitness than the first model. Rumors have pegged the watch to sport a 1.4-inch display and an LTE chip like the LG Sport, but hopefully Huawei doesn’t go too big. Sony has had something of a haphazard strategy with its Android phones, but its MWC offerings might bring a bit more focus. Sony may launch as many as five new Xperia phones at the event, including a follow-up to its flagship XZ. Likely called the X2 (and codenamed Yoshino), there isn’t much known about the handset other than it is expected to feature a 5.5-inch 4K screen. Additionally, there would be a variant with a Quad HD screen, with both phones showcasing Sony’s new IMX400 image sensor. 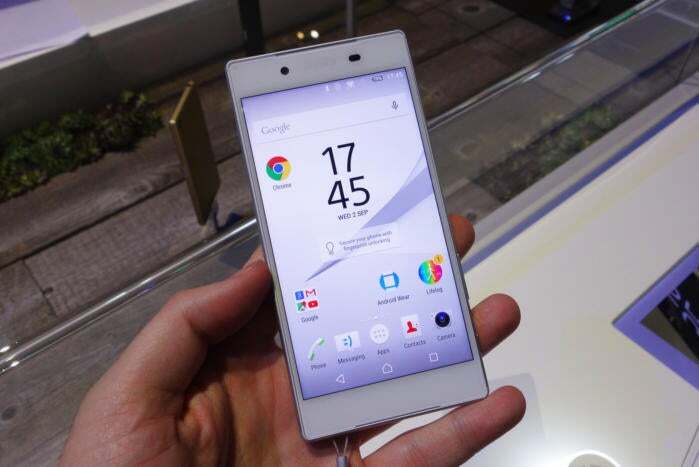 Sony could be bringing as many as five new phones to MWC, joining the Xperia Z5, seen here. 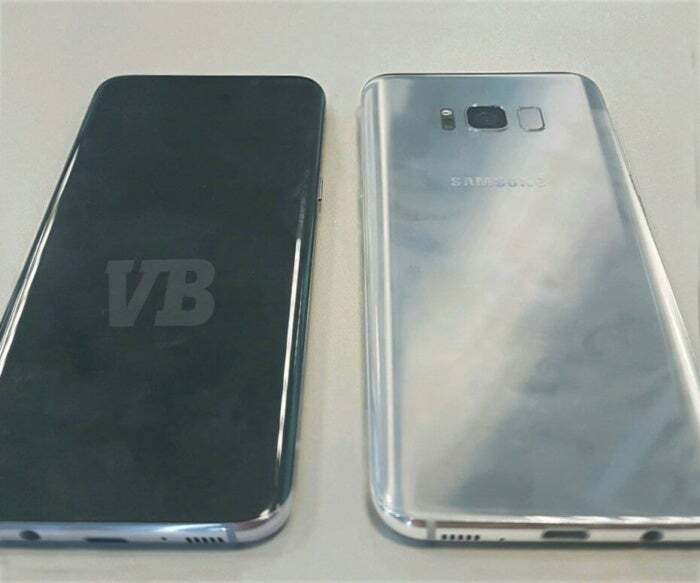 Of particular note is that these phones are rumored to include the new SnapDragon 835 chip, which is all but confirmed to be debuting in the Galaxy S8. So it’s possible that Sony will tease these phone or skip an MWC unveiling altogether, which would leave a trio of somewhat blander mid-range offerings. It’s been a while since Nokia made any noise at MWC, but that’s going to change this year. According to reports, parent company HMD Global is bringing four new Nokia phones with them. We’ve already seen the Nokia 6, the de facto flagship of the bunch, but rounding out the line will be the Nokia 5 and Nokia 3 handsets. As their names suggest, they will be lower-end affairs, with the 5 featuring a 5.20inch 720p display and a 12MP camera. Less is known about the 3, but it is expected to cost around $150. The Nokia 6 won’t be the only phone HMD Global is bringing to MWC. While it’s unlikely that any of these handsets will reach the States, there is one that might. According to a VentureBeat report, Nokia is prepping a modern homage to the classic 3310 feature phone, one of the most popular pre-smartphone handsets. While it has long been surpassed by today’s touch-screen devices, the 3310 was heralded for its small, nearly indestructible frame, as well as a handful of then-novel features and customization options, and it’ll be interesting to see how Nokia updates it. It doesn’t look like Lenovo will be bringing any flagship Moto phones to MWC, but there will be an update to the budget G4 and G4 Plus. Leaked via an accidental posting by Spanish retailer K-Tronix, the bigger of the two models will feature a 5.2-inch Full HD display with a 12MP camera, 3,000 mAh battery, 2GB of RAM, and a Snapdragon 625 chip. Its smaller brother sports a 5-inch and utilizes the Snapdragon 430 processor, with a 2,800 mAh battery and a 13MP camera. The Moto G5 will be making an appearance at MWC. BlackBerry’s heyday might be long behind it, but they’re still the only name in QWERTY phones. And there’s a new one coming at MWC, built on Android 7.0 Nougat. Blackberry offered a sneak peek at the new Mercury (DTEK70) handset at CES in January, but now it is ready to officially launch the phone, which reportedly features a 4.5-inch screen, Snapdragon 625 processor, and 3,400 mAh battery. But all anyone who wants one is going to care about is the four-row keyboard permanently affixed to the bottom. Not since 2013 has there been a Mobile World Congress without a splashy Galaxy phone release. But this year the company has already lowered our expectations by announcing that it will be taking a little longer with the development of the Galaxy S8. While that’s certainly a bummer, it looks as though the extra time is being put to good use. We’ll have to wait a little longer this year for the Galaxy S8. Along with the 8-point battery check that will hopefully ensure they won’t blow up, the S8 looks to be a beauty, with a stunning curved design and bezels so small that there’s no room for the Samsung logo on the front. Additionally, it looks to be the first phone to use the 10nm Snapdragon 835 chip, which could make it nearly twice as fast than the S7. And perhaps the best news of all: It will be keeping the headphone jack. We’re not the only ones waiting for the Galaxy S8. 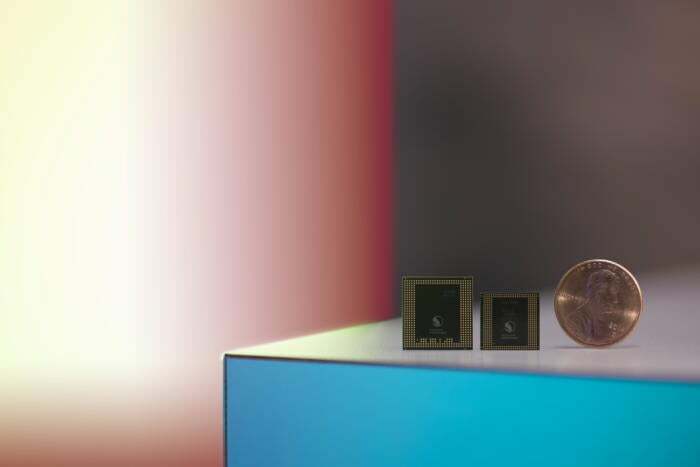 Manufacturers everywhere are reportedly barred from using the next-generation Snapdragon 835 chip in their phones until the S8 lands, as Samsung has scooped up all of the available chips for itself. So any of the phones announced at MWC will likely be based on the older (but still very capable) 821 architecture. However, while some companies might try to take the wind out of Samsung’s sails by announcing 835 phones that won’t be shipping until later in the spring, the biggest flagships (like LG’s G6, for example) won’t have the latest tech inside. The Snapdragon 835 will power a lot of phones this year, but it’s unlikely we’ll see any of them at MWC. While fledgling Chinese phone maker Xiaomi used last year’s MWC to preview its ceramic flagship Mi 5, the company won’t be holding a keynote event at this year’s conference. Xiaomi is going through something of a transition period after its tremendous growth began to slow last year and outspoken exec Hugo Barra left the company in January, so it’s not all that surprising that Xiaomi is sitting this one out. However, there are enough rumors about the Mi 6 to suggest it will be released sometime soon. 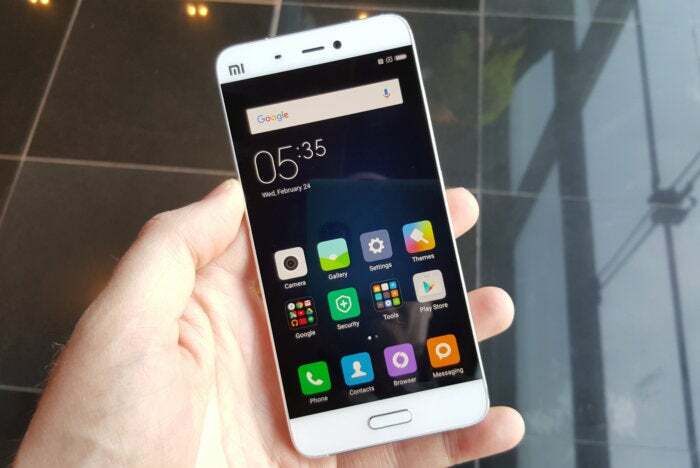 The follow-up to Xiaomi’s Mi 5 is coming, but it won’t be arriving at MWC. If Google wanted to make headlines at MWC it could have delayed Android Wear 2.0 and launched the LG Sport and Style watches, and turned it into an event. But Google clearly doesn’t want to make headlines in Barcelona. While the Android Village will still be the must-see booth at MWC, don’t expect to see any new Made by Google devices inside it. Samsung knows we’re all waiting for the Galaxy S8. So even though there won’t be an official unveiling, we’re hoping to get some information about it. Maybe a confirmation of the rumored March 29 event, or a hype-building video, or just a peek at how thin those bezels really are. Just something to tide us over for the next few weeks. HTC already unveiled the Ultra U last month but from what we hear, that’s not the only flagship phone it has planned for this year. And while the Ultra certainly looks good, it doesn’t quite have the high-end industrial design that the 10 has. And if we’re going to be paying $750 for a phone, we kinda wish it had a battery bigger than 3,000mAh and slightly smaller bezels. Oh, and a headphone jack. The U Ultra is nice, but we want more from HTC. So far, the only two Android Wear 2.0 watches are the hulking LG Sport and the underachieving LG Style. But somewhere out there is a smartwatch that combines good lucks with NFC and long battery life to deliver all of the power of Android Wear 2.0 with something we want to wear on our wrist. Maybe it’s the Huawei Watch 2, or maybe it’ll come from Asus or Moto. But we just hope we get a look at it in Barcelona. Who will be the first company to make an Android Wear 2.0 watch we want to buy? If there’s one thing all of the upcoming phones have in common, it’s their giant, pixel-packed screens. And we’re hoping they all have nice big batteries to power them. There’s nothing worse than a great phone that can’t quite last through the day, and it would be nice if we didn’t need to carry a battery pack around to make sure we did. While we’re certainly looking forward to the G6 and Galaxy Tab S3, it’s hard to get that excited over phones and tablets anymore. So we’re hoping MWC brings something a bit more outside the box. We’ve heard rumblings about a new Samsung folding phone in development for a while now, so it’s possible we’ll get a look at a prototype. Then there’s the report that Nokia will be reviving the retro candy bar-styled 3310. We’re not entirely sure what to expect, but we have visions of a rugged, rock-solid case with a small color screen that lets us perform rudimentary tasks (and play Snake, of course) without bogging down our attention span with tons of apps.